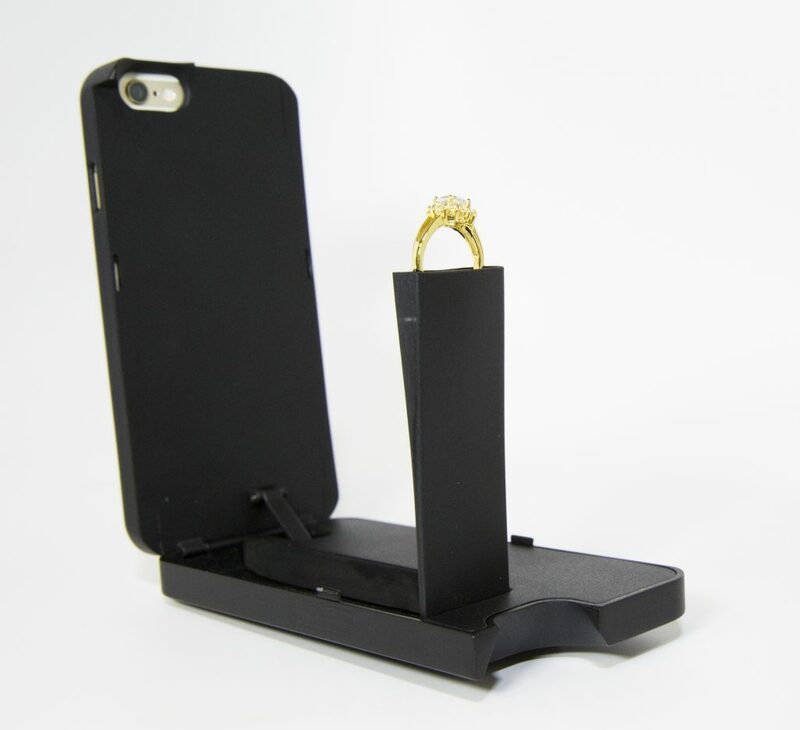 Now this phone case certainly has a RING to it because it doubles up as a ring-box allowing people to film proposal reactions and share them live on social media. 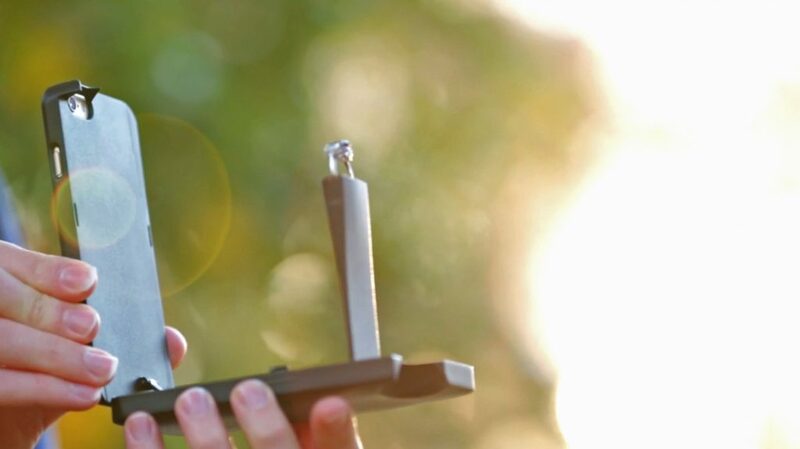 James Ambler and Keith Glickman, 37 and 29, from New York, USA, created RokShok the world’s first mobile phone case that conceals an engagement ring. Positioning the ring right in front of the camera, it allows users to record and even live stream their proposal and the reaction to friends and family all over the world. The pair say RokShok, available for $39.95 (31GBP), will help couples captures one of the ‘happiest moments of their lives’ and claim their slimline product is subtler than a traditional, bulky ring-box. Statistics show that 57% of women post a picture of their engagement ring on Facebook immediately after the proposal and a further 79% of couples announce the news of their engagement on social media. There’s certainly no need to worry when this phone is ‘engaged’ because it probably means someone’s just been proposed to. James, co-managing partner, originally from Brixton, London, UK, said: “We like to say that RokShok is the ‘Ringbox Modernized’ it is the world’s first engagement ring phone case. “It conceals an engagement ring and when the time is right, beautifully presents it, while capturing the entire proposal on camera. “Engagement ring boxes haven’t really changed much since their inception, and that’s unfortunate because everything needs to evolve to some degree in order to meet the needs of today’s consumers. “The most common complaint we hear is that the traditional ring box is too large making it almost impossible for someone to hide it in a pocket without drawing unwanted attention. “It solves this problem with a two-pronged approach: first, RokShok looks and feels just like a standard battery case so it can be left in plain sight without arousing suspicion. “Second, it’s slim design enables it to fit into any pocket without creating the bulge of a traditional ring box. “With that hurdle out of the way, we then turned our attention to what all millennials want most today, which of course is the ability to capture photos and video and then to quickly share them with friends and family. 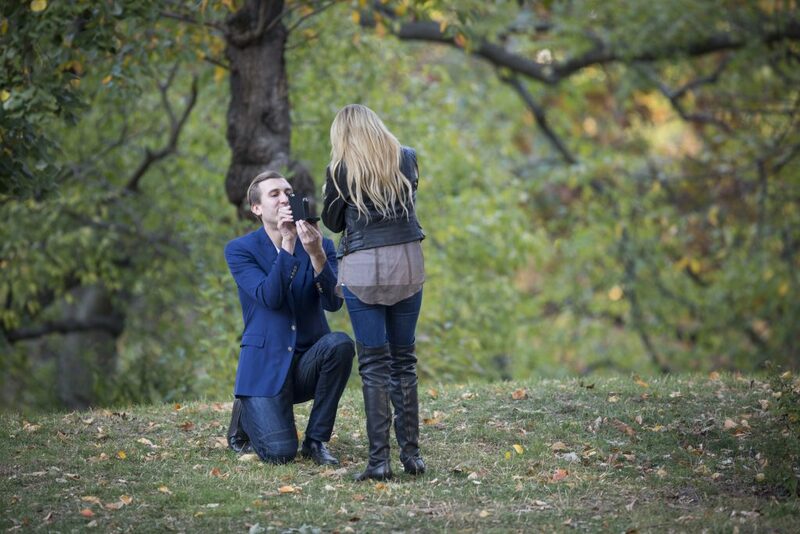 “RokShok captures the entire moment of a proposal on camera, and can be immediately uploaded to social media. “It can even record ‘LIVE’ proposals so you can include other people in the big surprise. “With RokShok, an individual planning to propose, does not have to fear the ring or ring box being discovered and the entire surprise ruined. “You’d be surprised how many stories we’ve heard of where people who were planning their proposal who said, ‘I really wish so and so could be there but unfortunately they live out-of-state’. The product was conceived after co-manager Keith struggled to film his wedding proposal using another product. James said: “The key factor that started it all was Keith’s proposal, he proposed with all the bells and whistles, and we had cameras set-up everywhere. “The proposal couldn’t have turned out better except for one thing, Keith used a third-party product that’s specifically intended to capture video of the reaction of the person being proposed to. “Unfortunately, the product proved inferior and this portion of the proposal did not come out well, the audio was impossible to hear and the video was grainy. “Keith, who was already dabbling in investments in the “proposal industry”, and I, who had been running the world’s premier proposal photography company for seven years, thought there had to be a better way. 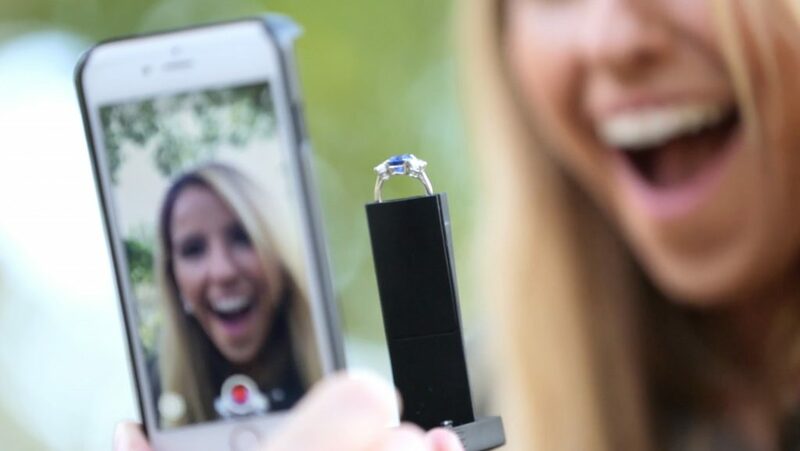 “We knew people wanted a more reliable method to conceal an engagement ring and that having footage of the big moment to share with family and friends was an absolute must. “We considered how to achieve these goals, while keeping the product affordable so that everyone could have the ability to document their own big moment. RokShok was designed based on research that millennials are more likely to share and announce their engagements online. A further 62% posted a picture after they got engaged, additionally, 41% of males who proposed in 2015 had a photographer/videographer capture the proposal. James said: “First and foremost the statistics clearly show the desire by the current “proposal generation” to document the experience. “On a more personal note, we believe that proposing is one of the happiest and most important moments in a couple’s life. “With that in mind, we think that having a record of that, to one-day share with their children and grandchildren creates a unique value proposition.